Marvel's series based on Daredevil, Jessica Jones, Luke Cage and Iron Fist will all be shooting in New York. It was announced today that the four Netflix series based on Marvel Comics – all ultimately leading to a Defenders team-up – will be filmed in New York. 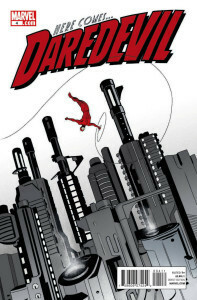 The first show to begin filming will be Daredevil. Governor Andrew M. Cuomo, The Walt Disney Company, Marvel and Netflix Inc. today announced that Marvel’s landmark live-action television series, which will bring Marvel’s “flawed heroes of Hell’s Kitchen” characters to Netflix, the world’s leading Internet TV network, will principally film in New York State. Produced by Marvel Television in association with ABC Television Studios, this groundbreaking series is Marvel’s most ambitious foray yet into live-action television storytelling and represents the largest film or television production project commitment in New York State history. When Governor Cuomo took office in 2011, he made the attraction of the film and television production and post production industries, and jobs and the economic impact they bring with them, a key part of his overall strategy to grow New York State’s economy. Since that time, he has signed into law several important changes to both programs to make New York more competitive in this global marketplace, and the results have been significant. Both programs enjoyed record-breaking years in 2013, bringing billions of dollars in new spending and thousands of jobs into the Empire State. The stability provided by multiyear funding has particularly encouraged the development of television series production work, like the new Marvel series, as well as long term investments in infrastructure, all of which creates thousands of jobs directly and indirectly related to the actual productions themselves.